The purpose of the TPMS in vehicles is to warn drivers that at least one or more tires are significantly under-inflated, possibly creating unsafe driving conditions. Why TPMS becomes so important in the world? Even now, a substantial number of vehicles hit the road each day with underinflated tires. However, proper tire maintenance with the aid of a TPMS can and does help prevent many serious accidents. Then, in response to a surge in accidents due to underinflated tires, the US government passed the Transportation Recall Enhancement, Accountability, and Documentation (TREAD) Act. One of the outcomes of this legislation is that vehicles sold in the United States since 2007 must include TMPS of some kind. Below are most powerful TPMS Diagnostic and Service Tools in today’s market. It can fully diagnose TPMS problem, activate TPMS sensors and reprogramming the vehicle’s ECU. By working with 433MHz/315MHz MX-Sensor, this combination can solve all TPMS problems. The MS906TS has an all-in-one exceptional OE-Level functionality from OBDII diagnostics, ECU coding to complete TPMS service. With this, Now technicians don’t need a second TPMS tool to trigger, relearn, or program MX-Sensor. 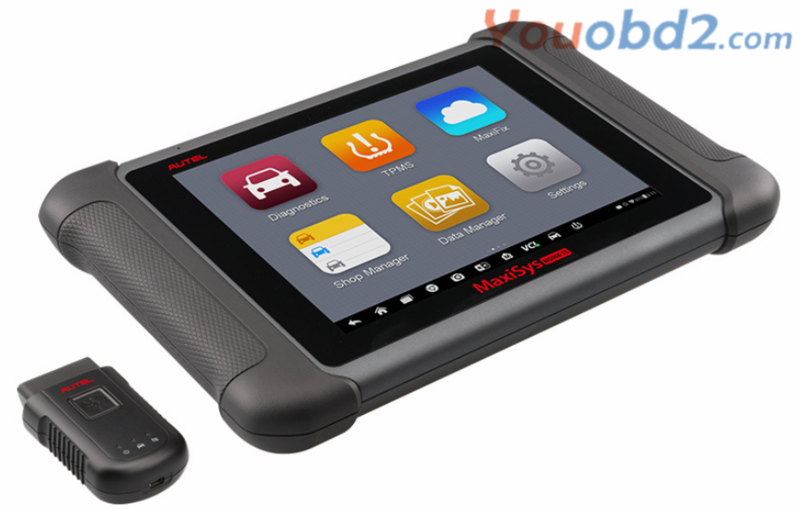 Quickly test all vehicle systems by touching 8.0” screen tablet of the MS906TS from www.youobd2.com . 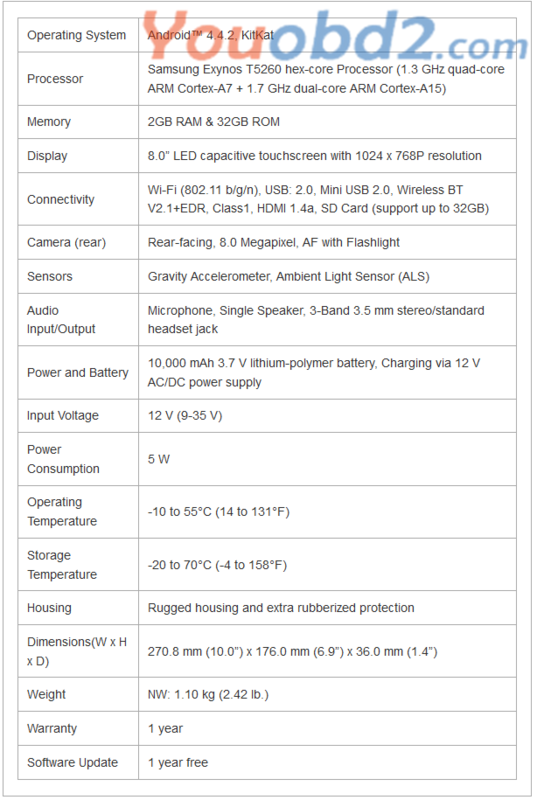 What is the advantage about Original Autel MaxiSys MS906TS ? AUTEL MaxiSYS MS906TS is an all-in-one industry first combining advanced diagnostics with complete TPMS functionality. Now technicians don’t need a second TPMS tool to trigger, relearn, or program Autel MX-Sensors. Quickly test all vehicle systems with one ultra-fast, lightweight, wireless, touch screen tablet with the same vehicle coverage and advanced diagnostics as the MS906. 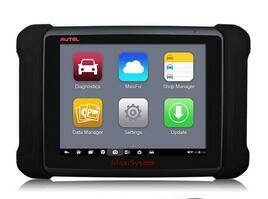 Operating on the Android navigation system, the Autel Tools MS906TS provides amazingly fast sensor programming and diagnostic scan functions with its powerful running speed and large 32 GB solid state hard drive. The system also features the latest AutoVIN technology to identify vehicles in one touch as well as its exclusive AutoScan function. These features allow you to easily acquire vehicle information, scan all ECUs and run diagnostics on selected systems. Featuring the best possible coverage of OE-level diagnostics and ECU coding capability, the MS906TS on www.youobd2.com also supports add-ons like an oscilloscope and inspection camera to perform more extensive professional testing. MaxiFix, Autel’s online community of global professional technicians, offers a constantly expanding database which includes industrial professionals from around the world offering thousands of successful Fix & Tips that are shared, discussed and updated every day. This feature brings essential resources to your desktop in real time, granting quick and easy search of diagnostic and repair procedures, tips, and advices. The Support module helps Autel users keep track of their devices by saving product update, repair and complaint records; it also provides a platform for communicating with support personnel directly through Data Logging sessions, and with other Autel users through specific product community channels. Enhanced wireless connectivity between the display tablet and VCI device allows greater mobility and ease at work. Autel MaxiSys MS906TS is the latest addition to the MaxiSys product line of advanced wireless diagnostic devices integrated with the TPMS antenna module. The device is based on the Android operating system featured with the best possible coverage of OE-level diagnostics and TPMS integration. Operating on the Android navigation system, the MS906TS provides amazingly fast sensor programming and diagnostic scan functions with its powerful running speed and large 32 GB solid state hard drive. The system also features the latest AutoVIN technology to identify vehicles in one touch as well as its exclusive AutoScan function. These features allow you to easily acquire vehicle information, scan all ECUs and run diagnostics on selected systems. Featuring the best possible coverage of OE-level diagnostics and ECU coding capability, the MS906TS at Youobd2.com also supports add-ons like an oscilloscope and inspection camera to perform more extensive professional testing. As one of the fastest growing diagnostic companies in the world, Autel’s innovators are determined to extend the boundaries of wireless evolution. Supported by superfast 802.11b/g/n Wi-Fi, big data becomes even more accessible. MaxiFix, Autel’s online community of global professional technicians, offers a constantly expanding database which includes industrial professionals from around the world offering thousands of successful Fix & Tips that are shared, discussed and updated every day. This Professional diagnostic technician feature brings essential resources to your desktop in real time, granting quick and easy search of diagnostic and repair procedures, tips, and advices. 1.Wireless TPMS & Advanced Diagnostics SystemOperating on the Android navigation system, the MaxiSYS MS906TS provides amazingly fast sensor programming and diagnostic scan functions with its powerful running speed and large 32 GB solid state hard drive. The system also features the latest AutoVIN technology to identify vehicles in one touch as well as its exclusive AutoScan function. These features allow you to easily acquire vehicle information, scan all ECUs and run diagnostics on selected systems. 2.Optional Compatible Accessories Featuring the best possible coverage of OE-level diagnostics and ECU coding capability, the MS906TS also supports add-ons like an oscilloscope and inspection camera to perform more extensive professional testing. MaxiSys MS906TS is the latest addition to the MaxiSys product line of advanced wireless diagnostic devices integrated with the TPMS antenna module. The device is based on the Android operating system featured with the best possible coverage of OE-level diagnostics and TPMS integration. 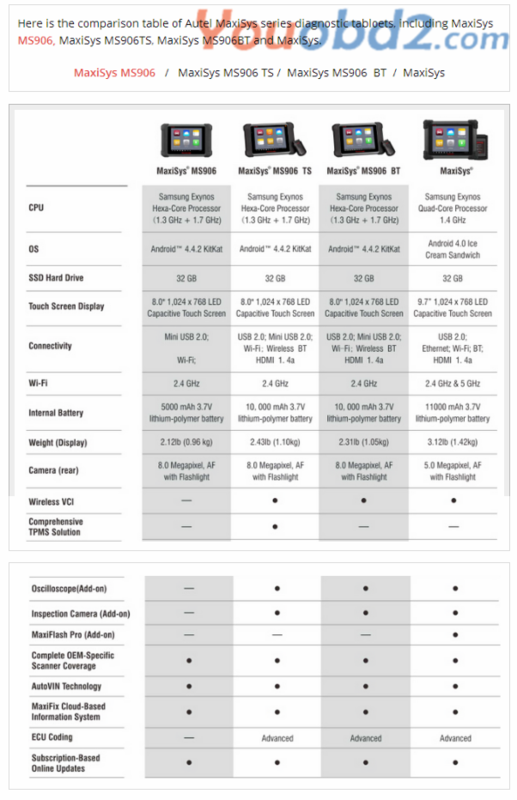 Utilizing the powerful Exynos 5260 6-core processor (1.3 GHz quad-core ARM Cortex-A7 + 1.7 GHz dual-core ARM Cortex-A15), an 8” capacitive HD touch screen, and long-distance wireless communication, the MaxiSys MS906TS efficiently provides comprehensive vehicle diagnostics and analysis along with universal TPMS solutions. 1. MS906BT is installed Bluetooth, allowing diagnosis wirelessly. 2. MS906BT’s diagnostic coverage includes premium vehicle brands such as Maserati and Bentley, which would be required for high-end service shops. 3. MS906BT supports oscilloscope and digital inspection camera add-ons which are not supported by MS906. 4. Finally, MS906BT has the capability to perform coding for covered vehicles.